The Aurora Sentinel endorses Andrew Romanoff in CO-6. 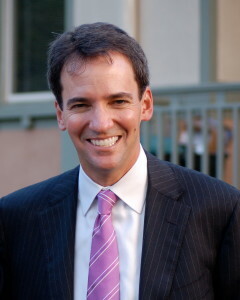 …As the next Congress tries, again, to take up the matters of health care, immigration, Medicare, equal pay, federal spending, student aid, new energy development and the limitation of corporate greed and influence, Andrew Romanoff’s record and goals reflect what the district wants and needs. He offers a path forward that makes sense for all of Aurora. This is a compelling endorsement in a race that will be one of the most expensive — if not the most expensive — in the entire country. This is the kind of analysis that could cut through the clutter and make a significant difference to voters who may feel overwhelmed by TV ads and mailers — and Romanoff's campaign will no doubt spread this editorial far and wide. I can't wait for the ballots to drop next week! I didn't think it possible after 2008, 2010 and 2012, but I can honestly say that I've never been this motivated to vote, or this motivated to get other Dems to vote! Both my wife and I, busy little professionals that we are, have cleared our schedules for election day…We are both members of the League of Women Voters, working to register and educate voters, she is active with No on 67 and I am working with the Dems as much as I can. My point is that we are all busy, but this election is too important …if we don't win this election at every level, particularly the Senate race, it won't make any difference how hard we work at our jobs and our professions…Charlie and Dave and Romneys' Wall Street Raiders will break the economy again and steal everything we work so hard for…. and that's the fact, Jack. Very well said. And thank you and your wife for your critically important service. I'm not a CD-6 constituent – but I wholeheartedly agree with the Sentinel's endorsement. When Andrew was Speaker of the House he did a stellar job on a wide range of issue that affected everyday Coloradans. As a rural Coloradan I would like to point to one program in specific that he championed as an example of how he has impacted so many lives outside of his district: BEST (Building Excellent Schools Today). This program has given our small communities the opportunity to build new schools, often the heartbeat of these small towns, and it is making a huge difference in the lives of so many in the Colorado Outback. We have Andrew and his leadership to thank for this. He served those of us in rural Colorado well as Speaker of the House; he'll do no less for his constituents in CD-6. I recall reading one of the notes to his constituents at the time about him putting a lot of miles on his rattle-trap Saturn sedan touring all the districts in Colorado for that bill. He probably has about as many miles on his Prius by now. He'll bring modesty and integrity to Congress plus significantly raise the intelligence level as well! Dems nationwide should take this editorial and turn it into campaign messaging – Coffman, like Gardner, want to represent to new generation, but like Udall pointed out in last night's closing remarks at the Post debate, Gardner's positions (and Coffman's) don't align with that new generation. It is as simple as that – they are pretenders and camouflage their true records and positions and trying to trick people into believing they are more progressive than their records show them to be. Colorado is changing, the country is changing. If it's true that Colorado is a microcosm of the changes taking place across American (ie, conservative America giving way to a new generation) then Dems would be wise to use the Sentinels' editorial as a core for campaign messaging – it's that good. Wow. Considering that Coffman is an Aurora native son, this endorsement is even more impressive. With endorsements piling up, what is the Denver Post waiting for? Pretty sure they'll go ahead and endorse Coffman regardless but Gardner is going to be more problematic. From the article on the debate in the Chuckie edited news section today, I'd say that if he were in charge of the editorial page Gardner would get the endorsement. But he isn't and any Gardner endorsement now would pretty much have to refute the Durango Herald and Aurora Sentinel endorsements calling Gardner out as a man with no integrity who will say anything to get elected. If they use the usual argument that Coffman hasn't done anything to deserve getting kicked out in order to endorse him over Romanoff, who is clearly now a better fit for the district, doesn't it get harder, after those scathing take downs of Gardner, to argue that Udall does deserve to lose his seat to the guy? Stay tuned on upcoming Post endorsements in both races, I guess. I suspect the CD6 and Senate endorsements will be paired in the Editorial Board's eyes as a way of appeasing both sides. So either they take the safe route and endorse both incumbents (Coffman, Udall) as you say, because neither deserves to be kicked out of office, or they go wild and endorse both challengers — Andrew because he does, in fact, better represent the new CD6, and Gardner because, well, it'll be better to have both parties representing "Purple" Colorado in the Senate. Gardner certainly won't get the endorsement due to his voting record, current stands, or his personal integrity (even Chuckie noted Gardner's character issue last night that his reporters airbrushed out). As you advise — stay tuned. Their endorsements will say much more about the Denver Post's credibility than it will about the candidates qualifications. Bet it wasn't airbrushed out against Chuckie's wishes. Nope — Control freak Chuckie probably couldn't contain himself last night at the perceived disrespect from Gardner, but thought better of it for general consumption in the paper. And yeah. There's always that facile all purpose argument that it's better to have a Senator from each party in a purple state. Even if two important state papers have pretty much called one of them a sleaze bag? We'll see. Well, the Post does have a precedent for employing non-intuitive logic to support their partisan choice — remember the 2004 GWB endorsement? You know, he's been a crappy president, but we endorse him because if you give him another chance, he might do a slightly better job? Kind of like the Pueblo Chieftain's "vampire endorsement" of Victor Head – we endorse Victor Head "because we need new blood". We think Mr. Head will bring a fresh perspective that is motivated by administrative goals, rather than partisan politics. And if you believe that, I've got some swamp land in Florida you would love to own! That goodness I don't depend on the Chieftain for my news, even if the Post is trying to give them a run for their money.